Mary Crowley married John Houghton, son of John H. Houghton and Eliza H. Mcinerney, in May 15, 1907 at Manhatten, NY, USA, mar 4 y in 1910 census. Edmond Houghton married Emma (?) in circa 1907 mar 3 y in 1910 census. Emma (?) married Edmond Houghton in circa 1907 mar 3 y in 1910 census. Thomas A. Houghton married Margaret (?) in circa 1887 mar 23 y in 1910 census. Margaret (?) married Thomas A. Houghton in circa 1887 mar 23 y in 1910 census. 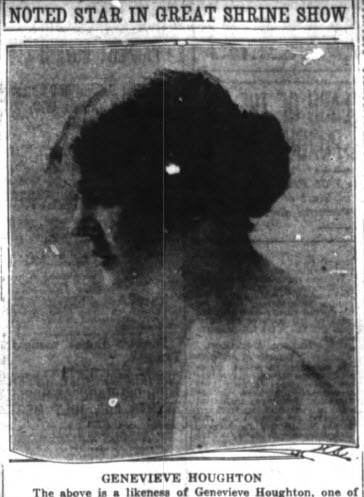 Karen Frankenberger married James Carter Houghton, son of Archible Ernest Houghton and Wanda Jackson. Karen Frankenberger and James Carter Houghton were divorced in 1993. John H. Houghton married Eliza H. Mcinerney in circa 1875 mar 35 y in 1910 census. Eliza H. Mcinerney married John H. Houghton in circa 1875 mar 35 y in 1910 census. John Houghton married Bridget Gavin in circa 1884 mar 26 y in 1910 census. Bridget Gavin married John Houghton in circa 1884 mar 26 y in 1910 census. Clyde Langston Eddy married Kathleen Mavourneen Kirby. Kathleen Mavourneen Kirby married Clyde Langston Eddy, son of Daniel Leland Eddy and Mary Jane Skelton.